This page of the blog will tell you exactly how to order books directly from me (Tammi). My books are also available at quality bookstores and online sites. They are also available as ebooks from online booksellers. I can only sell you printed copies. Thank you for considering a book purchase. To Buy Tammi’s Books Directly from Her Please Read Below! Homegrown Herbs is my second book and I’m thrilled that it has been a best seller for some time now, with more than 45,000 copies sold. 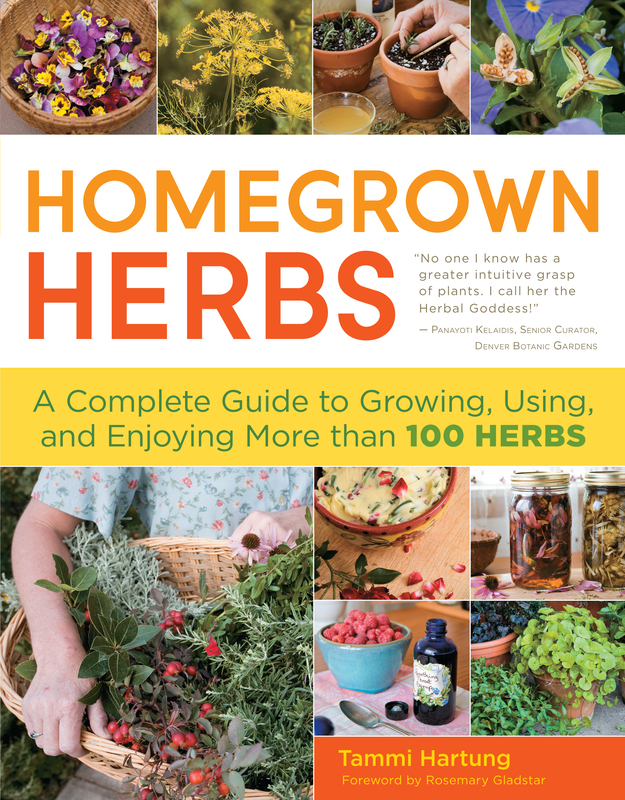 This is a great book for anyone new or experienced with growing and using herbs. It is a gardeners guide, but is also filled to the gills with recipes, directions for preparing your own remedies, even ways to make herbs into pet toys and household items like herbal heating pads and foot baths. 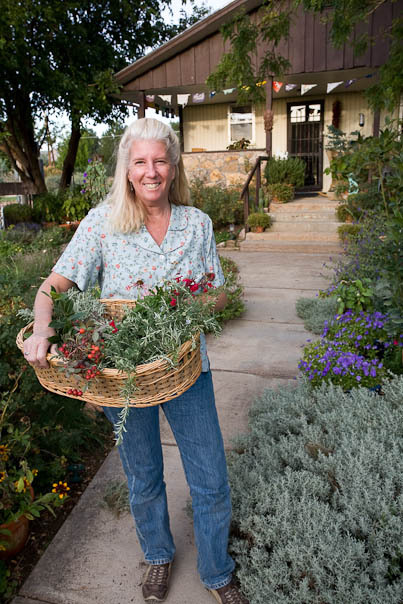 Plus, Homegrown Herbs is filled with color photos taken here at our farm during two photo shoots by the amazing botanical photographer, Saxon Holt. Saxon is a talented and happy sole that made the photos for this book very special indeed! 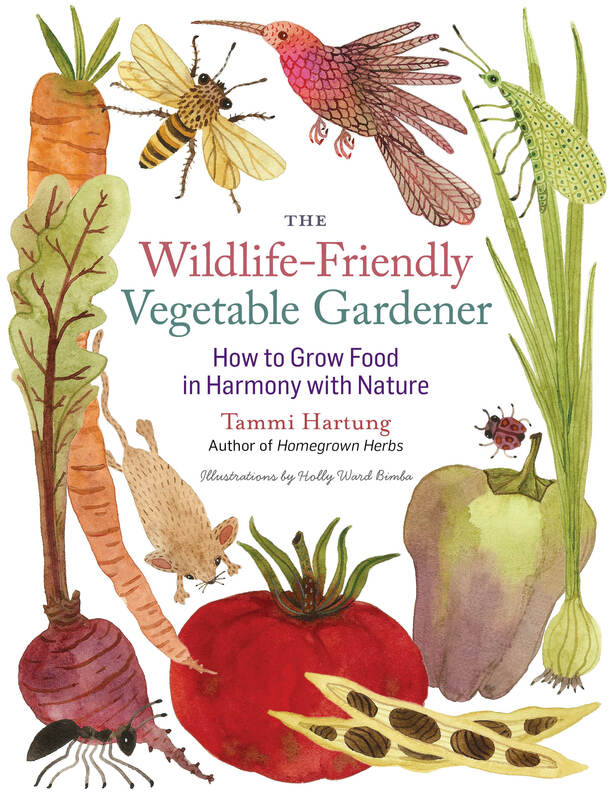 The Wildlife-Friendly Vegetable Gardener is a look into the world of nature to discover all sorts of ways to work with wildlife for the good of all concerned, and to increase your garden harvest yields at the same time. You will explore what creatures and microbes dwell in your soil community, and how to plant perennial food plants to create a backbone for the annual vegetables that will live in your garden every gardening season. There is information about encouraging and supporting pollinators and beneficial insects in your garden habitat, which ultimately means you will pick more peppers, strawberries, etc. due to their increased pollination of your plants. I have shared insight about planting wildlife hedgerows as just one of many ways to offer protection, food and water, plus shelter to raise young for wildlife of many different types. There are also chapters that cover ways to address wildlife challenges, such as when the deer just won’t leave your lettuce patch alone, or when the squirrels have nipped off the emitters of your drip watering system. I think you will find this book useful, fun and filled with good gardening insights. The illustrations are whimsical and fun. Holly made the book very magical in that respect! 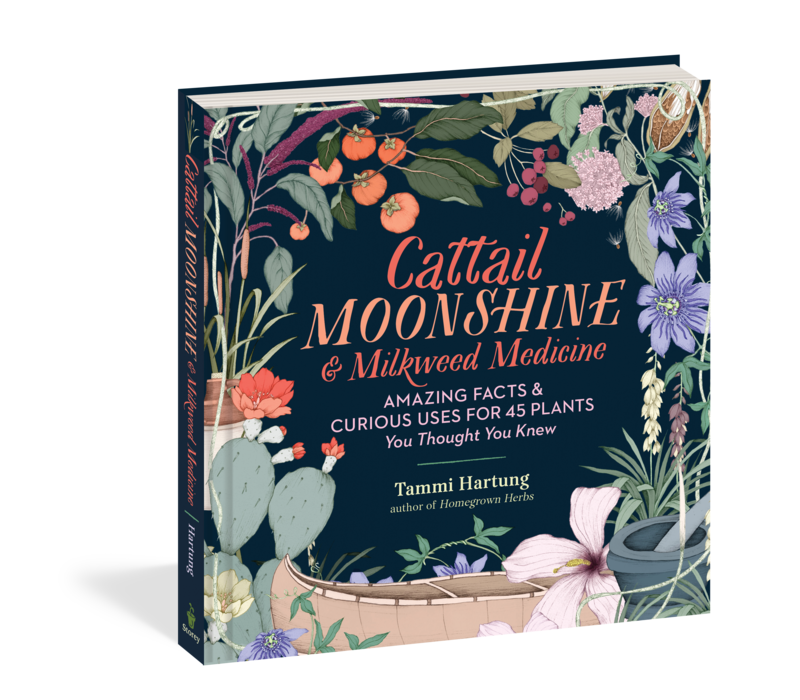 It feels almost like your reading a story book, only better because it is filled with so much useful information..
Cattail Moonshine & Milkweed Medicine is about 43 North American native plants and all the ways people have been in relationship with those plants from the past, in today’s time, and looking towards the future. Tammi will share how Spruce trees have been used for musical instruments, ship masts and chewing gum. Cattails were once called the “Peoples Whiskey” and Milk Weeds help us in emergency oil spill disasters. Hawthorn thorns for tattoo needles, Mexican Cacao chocolate as a blessing to new babies, and so many more incredible uses and tales for all these plants. To purchase copies of my books directly from me, please email me at desertcanyonfarm@gmail.com or call 719-275-0651, Monday thru Thursday, 8am to 5pm mountain time. 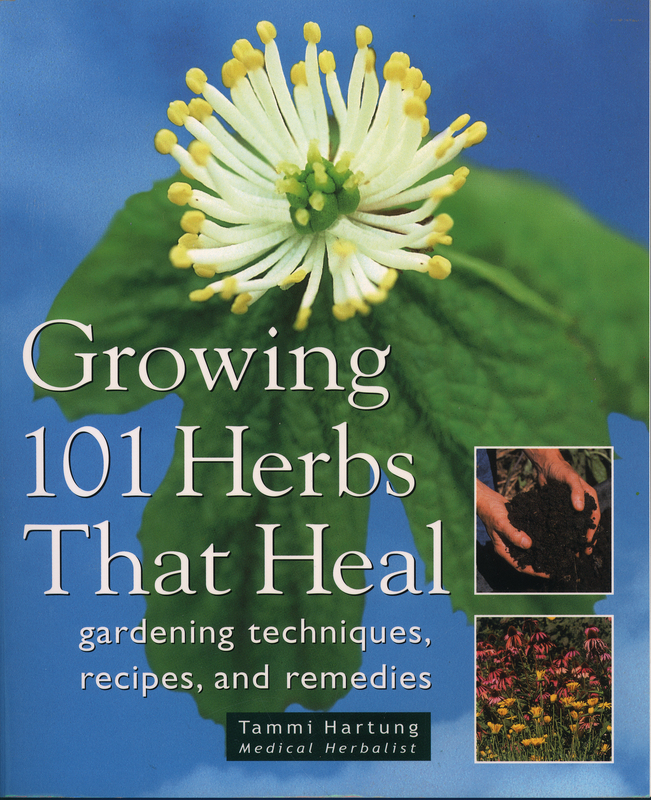 PS: Growing 101 Herbs That Heal is now out of print. Perhaps you can find a copy at a used bookstore or your local library.